Specialty materials company Velox is set to attend this year’s international trade fair for plastics processing, Fakuma, taking place 17 – 21 October in Friedrichshafen, Germany. 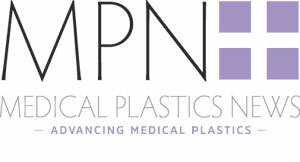 Two of Velox’s medical plastics experts will be at the show where the company will present its full range of thermoplastic polymer specialities. Velox will also be introducing a new product in the polyolefins market for pharmaceutical and medical applications.